The Time Machine: Harsh Noise. 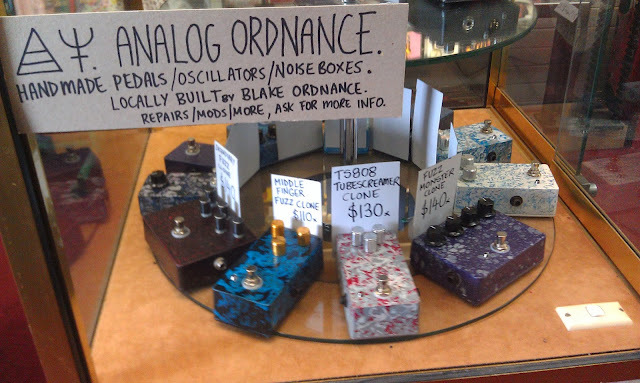 New shipment of Analog Ordnance pedals are now in-store. Affordable, hand-built effects pedals, perfect Christmas present for musicians. Built with hate by a harsh noise wizard in Woombye, come in to try 'em out or check out his page for other electronics/mods/repairs.